I don’t even know where to begin. 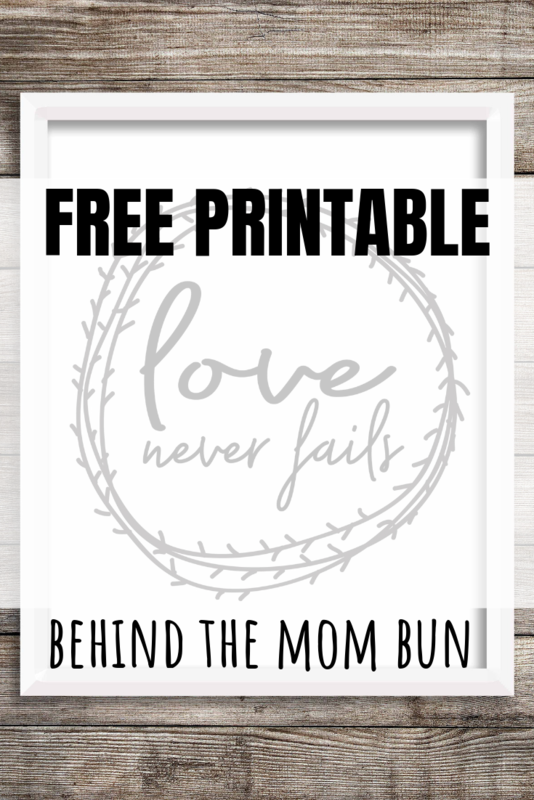 I am feverishly trying to get this Love Never Fails free printable ready because our Behind the Mom Bun community has had massive growth. Two days ago our Facebook page was 3700 strong and by the time I finish this post, we will have flourished to over 10K. I dreamed we would get here and I am just so excited that we are! As a big thank you from me to you I am giving away this “Love Never Fails” printable. This phrase has so many meanings for me and really expresses my deepest appreciation for you. I started Behind the Mom Bun with a desire to help other Mamas and having you here to support this mission means the world to me. Grab your Love Never Fails free printable here.